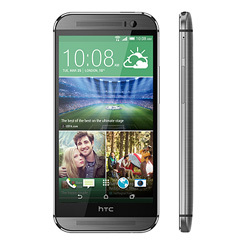 The HTC One A9s is a top mid-range phone, with an attractive slimline all-metal build. The 5-inch HD screen looks good, and the phone takes good pictures with its HDR cameras. Performance from the 8-core processor is strong, and battery life is reasonable too. Priced for value, this is an excellent buy. 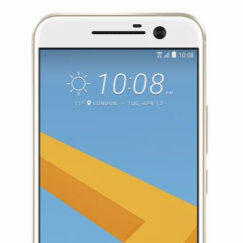 The HTC 10 introduces a new style for 2016, but one that makes it look much like a Samsung - at least from the front. It's a beautifully crafted phone, but not one that offers distinctive looks. Inside, it's a high performer, with a Snapdragon 820 processor, good memory, a USB Type-C connector, and an impressive Quad HD screen. The front camera is superb, although the main camera doesn't match it. It it was priced more competitively it would earn a 5 star rating from us here at S21. The HTC One M9 smartphone looks almost identical to the iconic One M8. The UltraPixel camera of the M8 has been replaced by a much better 20 megapixel main camera, and the processor has been upgraded to an octa-core Snapdragon 810. The M9 isn't a great leap forward, but is one step closer to perfection. The HTC One M8s is the same as the One M8, but with a new camera, updated 64-bit 8-core processor, a larger battery and Android Lollipop. It's cheaper too! If you missed out on the M8, perhaps this is the upgrade you've been waiting for. 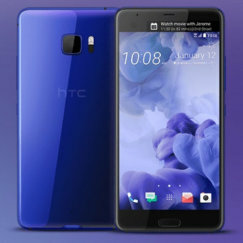 The HTC U Ultra is a premium phone with a "liquid surface" construction and a second display that shows top contacts and shortcuts. It has a good screen, plenty of memory, and a fast processor, but battery life isn't so hot, and there's no 3.5mm audio jack. The phone is expensive when you consider the competition. 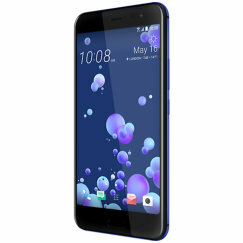 The HTC U Play is a mid-range phone that's priced too high and comes with a list of problems. Camera performance is mixed, battery life is poor, and there's no audio jack - only a USB Type-C connector for headphones. It's not a phone we can recommend. HTC 7 Mozart review - The HTC 7 Mozart is a Windows 7 smartphone with an excellent camera and music player. With its rounded shape and brushed aluminium casing it's a good looker too, with a solid feel. HTC ChaCha review - The HTC ChaCha combines a BlackBerry-style QWERTY keyboard with a large 2.6 inch touchscreen. It also has an extra button - a facebook button - that lets you instantly upload photos, videos and other stuff to facebook with one press. HTC Desire 300 review - The HTC Desire 300 isn't going to be anyone's first choice of smartphone, but for a tenner a month, it's a safe option. A large screen and long battery life are its strongest features, and you could do a lot worse at this end of the smartphone market. HTC Desire 320 review - The Desire 320 is HTC's entry-level Android smartphone for 2015, and is available on the very cheapest contracts. 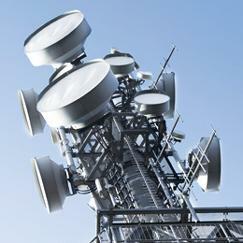 All the essential smartphone functions are present, but we can't say the phone did it for us. HTC Desire 500 review - If you're looking for a mid-range smartphone that's cheaper and more compact than the flagship HTC One, then the HTC Desire 500 could be a good choice, especially if you want a good camera phone. HTC Desire 510 review - The HTC Desire 510 is a budget smartphone with a big screen and good looks. Positives include a responsive quad-core processor and good battery life, but beware of its bulky design, poor camera and low screen sharpness. HTC Desire 530 review - The HTC Desire 530 would make an excellent entry-level Android phone. 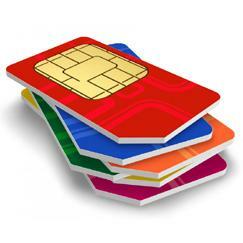 Unfortunately, it's been priced at around �150 sim free, which is far too expensive for a phone of this type. If the price drops, it will become a good choice, thanks to its nice styling, good 5 inch screen, generous 16GB of memory, and decent cameras. HTC Desire 601 review - The HTC Desire 601 shares the good looks of the more expensive HTC One Mini, but in a plastic shell to cut costs. It's very smart to look at and is one of the highest spec mid-range Android phones you can buy. Recommended! HTC Desire 610 review - The HTC Desire 610 offers the looks of the flagship HTC One M8 at a reduced price. But while the Desire 610 is a nice phone in many ways, it doesn't do enough to justify its price. HTC Desire 620 review - The HTC Desire 620 offers the advantage of a large 5 inch display and good all-round specs for a mid-range smartphone. HTC Desire 626 review - The HTC Desire 626 is a very nicely-styled phone. Slim and light weight, with a large 5-inch screen, it's the ideal size for a modern smartphone. The Desire 626 is billed as a mid-range phone, and ticks the right boxes regarding performance and capability, apart from its weak battery life. We feel that it's a good phone, but only if you can buy it for a good price. HTC Desire 820 review - The HTC Desire 820 gives a lot for your money - a powerful octa-core processor, a big 5.5 inch screen and an 8 megapixel front camera. But it's too big to become a mainstream phone. HTC Desire C review - The upgrade to the HTC Wildfire S, the Desire C is a compact and affordable Android phone. Coming with Android 4.0 and Sense 4 pre-installed, and with Beats Audio enhancement and the potential for NFC cashless payments, it looks like a modern phone. Just watch out for the slow processor and poor camera. HTC Desire EYE review - The HTC Desire EYE is the ultimate phone for selfies, with dual front and back 13 megapixel cameras. It's a great all-rounder too, with a superslim water-resistant body, top notch display, and superfast processor. HTC Desire HD review - The HTC Desire HD delivers more power than probably any other smartphone currently available, with the Android Froyo operating system, a 4.3 inch screen, 8 megapixel camera, HD video recording, GPS, 1GHz processor, 14.4 Mbps internet access and 1.5GB of internal memory. It may be big, it may be costly, but if you're excited by the opportunities that the phone offers, you won't find better. HTC Desire S review - The original Desire was the best selling Android phone back in 2010, and the HTC Desire S takes everything that made the Desire so hot and makes it better! 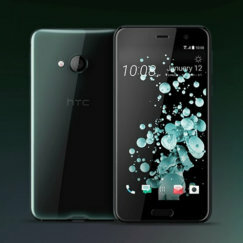 Running Android 2.3 and a new version of HTC Sense, its key features include a heavy duty metal body, a good-sized screen, a fast 1GHz processor, GPS with Google Maps, HD video and a second camera for video calling, plus fast internet and plenty of memory. HTC Desire X review - The HTC Desire X is a strong mid-range phone with no obvious shortcomings. 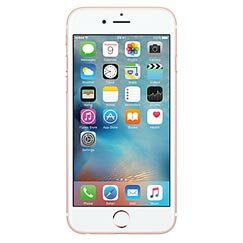 Highlight features include the 4 inch Super LCD screen, fast dual-core processor, 5 megapixel camera with good low-light performance and the larger-than-average battery. HTC Desire Z review - The HTC Desire Z adds a slide-out QWERTY keyboard to the hugely successful Desire. The result is powerhouse phone with fabulously responsive touchscreen, mind-boggling choice of business and fun apps, good camera, music player, GPS, total connectivity oodles memory. It's big beast heavy carry, battery life challenged, but for sheer power capability hard beat. HTC Desire review - The HTC Desire is one of the most impressive phones of all time. An Android smartphone with a fabulously responsive touchscreen, the Desire packs in a huge choice of apps, brilliant web browsing, one of the biggest and best screens ever, a good camera, a music player and GPS too. You want more? 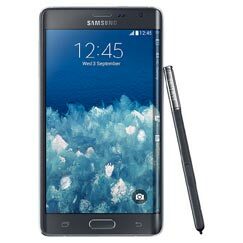 Add in a superfast processor, monster battery, WiFi and a 3.5mm headphone jack and you've got the perfect phone. HTC Explorer review - The HTC Explorer is a mid-budget Android phone designed for smartphone newbies. HTC HD Mini review - The HTC HD Mini is a compact smartphone. Yet despite its small size, it packs in a decent 3.2 inch touchscreen and all the power of a Windows smartphone. HTC HD2 review - The HTC HD2 has the biggest screen on any phone. With an absolutely brilliant touchscreen user interface and the latest Windows Mobile operating system, this is very powerful but easy to use device. HTC HD7 review - The HTC HD7 is one of the first wave of phones running Windows Phone 7. The HD7's main selling point is its huge 4.3 inch display, making it perfect for watching videos and running all kinds of apps. HTC Hero review - The HTC Hero is a very polished touchscreen smartphone, running Google's Android operating system. HTC Incredible S review - The HTC Incredible S is an Android smartphone that sits between the Desire and Desire HD in HTC's lineup. Key features include the huge 4 inch screen and the 8 megapixel camera with HD video recording. 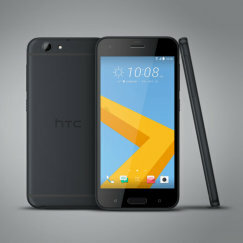 HTC Legend review - The HTC Legend is a gorgeous compact touchscreen phone with a brushed alloy finish. HTC One A9 review - The HTC One A9 is an Android phone that looks like an iPhone! Sharing a very similar superslim metal unibody, it has a fingerprint sensor on the home button, and a slightly larger screen. The A9 has premium looks and a premium price to match, but its performance is decidedly mid-range, and the battery is far too small. 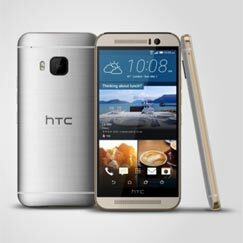 HTC One M8 review - The HTC One M8 builds on last year's One with a premium metal design, superb stereo audio, blazing fast performance and Android KitKat with BlinkFeed. The camera is unique, with a second lens to capture depth information and Ultrapixels for low light performance. HTC One Max review - The HTC One Max scales up the HTC One with a massive 5.9 inch screen. But the size and weight of this device mean that you'll need heavy-duty pockets to carry it! HTC One Mini 2 review - The HTC One Mini 2 shares the premium design and iconic good looks of the HTC One M8, but in a more compact form, with a reduced specification and lower price. HTC One Mini review - The HTC One Mini is a smaller, cheaper version of the flagship HTC One. It's a gorgeous-looking phone, but over-priced for what you get. HTC One S review - The HTC One S is an ultraslim yet high-powered smartphone with a large 4.3 inch display and a dual-core processor, but reports of signal problems and switching off can't be ignored. HTC One SV review - The HTC One SV is a nicely-styled, relatively compact smartphone with a 4.3 inch display and a fast dual-core processor. Running Android plus HTC Sense, it also has the benefits of 4G, expandable memory, Beats Audio and strong battery life. HTC One V review - The HTC One V is a mid-range smartphone running Android 4.0 (Ice Cream Sandwich) and with a good all-round set of features. HTC One X Plus review - An enhanced version of the brilliant One X, the One X+ provides a faster processor, more memory and a bigger battery. HTC One X review - With an incredible 4.7 inch HD screen, the world's first quadcore processor, an 8 megapixel camera with full HD video recording and fantastic Beats Audio sound quality, the One X really is the ultimate phone. HTC One XL review - This 4G-compatible phone is one of the most powerful smartphones available. HTC One review - HTC's flagship phone for 2013 has an aluminium unibody and a 4.7 inch Full HD 1080p display. A radical UltraPixel camera delivers good quality images, and Zoe turns your shots into mini music videos. 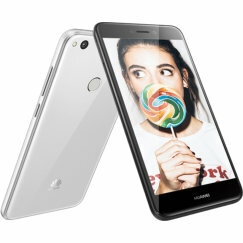 A blazing fast quad-core processor and 4G compatibility complete the package. The HTC One is our Phone of the Year for 2013! HTC Radar review - The HTC Radar is a mid-range smartphone running Windows Phone 7.5 (Mango). Crafted from a single piece of aluminium, the Radar has more of a premium feel about it than most phones, but in most respects it's competent rather than outstanding. HTC Salsa review - The HTC Salsa is a phone designed for facebook. We feel it's a nice phone that's been overpriced for what it does. HTC Sensation XE review - The HTC Sensation XE builds on the strengths of the dual-core Sensation. With an even faster processor, a massive 1730mAh battery and some quality Beats Audio headsets thrown in for free, this has got to be one of the best Android smartphones ever released. HTC Sensation XL review - With an incredible 4.7 inch screen, a super fast 1.5GHz processor, an 8 megapixel camera and awesome sound quality from Beats Audio headphones, the Sensation XL could be a must-have for music and media lovers. HTC Sensation review - HTC's first dual-core phone is one of the most powerful smartphones available. 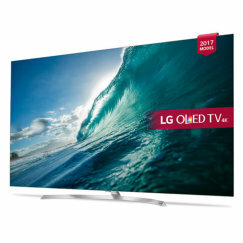 With a stunning 4.3" quarter HD screen, hi-fi audio and an outstanding 8 megapixel camera with Full HD 1080p video recording, it's a brilliant multimedia device. HTC Titan review - The HTC Titan runs Windows Phone 7.5 (Mango) and has the largest screen of any mobile so far, at 4.7 inches. HTC Touch 2 review - The HTC Touch 2 is a compact, touchscreen, Windows Mobile smartphone equipped with a 3.2 megapixel camera, MP3 player, GPS, HSPA, WiFi and Bluetooth. HTC Touch 3G review - The HTC Touch 3G is a compact, lightweight smartphone, but we feel that the display is too small and the battery life is poor. HTC Touch Diamond 2 review - The HTC Touch Diamond2 is an upgraded version of the original Touch Diamond, with a larger screen, and improved camera and battery life. In short, it's an outstanding touchscreen smartphone running the very powerful Windows Mobile operating system. Features include a 5 megapixel camera plus secondary video camera, 3.2 inch ultra-high resolution display, music player, FM radio and GPS receiver. With a huge 288 MB of RAM, HSDPA and WLAN support, the Touch Diamond2 really is an excellent phone. HTC Touch HD review - With a brilliant touchscreen user interface and the Windows Mobile operating system, this is a very powerful but easy to use device. HTC Wildfire S review - The upgrade to the hugely-popular Wildfire, the Wildfire S is a budget Android smartphone with a premium metallic body, an uprated touchscreen display, 5 megapixel camera, Android Gingerbread, GPS with Google Maps and access to over 100,000 apps from the Android Market. It compromises on processor speed, memory and battery power, but it's still one of the best of the lower-priced Android phones. HTC Wildfire review - The HTC Wildfire brings Android technology to the budget smartphone sector. Incorporating the power of Android and HTC Sense, plus a superbly responsive capacitive touchscreen, the Wildfire is easy to use and has access to thousands of apps. Combined with a 5 megapixel camera with autofocus and flash, a media player, GPS, Google Maps and fast internet, the Wildfire gives you a lot for your money. But compromises have been made with the screen, processor speed and memory. HTC Windows Phone 8S review - HTC's Windows Phone 8S delivers the joys of Windows Phone 8 at a budget mid-range price. Good-looking, easy to use and with all the hardware needed to deliver a good smartphone experience, it offers exceptional performance for its price. HTC Windows Phone 8X review - The Windows Phone 8X is HTC's signature phone featuring the Windows Phone 8 operating system. It's a good-looking phone with a premium feel. Equipped with a HD screen and a fast dual-core processor it has many impressive features, not least the new operating system itself. Now that the price has fallen, it's a phone we can highly recommend.